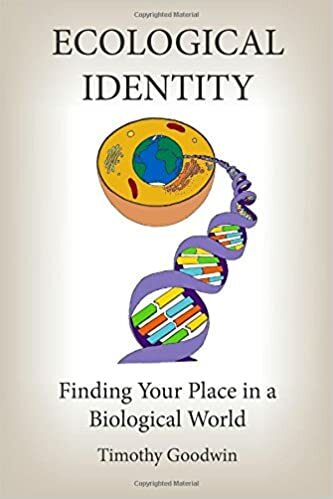 Ecological Identity, provides a narrative framework allowing the reader to put the biology they learned in school into a meaningful context. The author leads the reader through topics of biology, ecology, and environmental science, on a journey to discover their own ecological identity so that they can answer for themselves: then, how ought I to live? With the eye of a biologist and the soul of an artist, Tim Goodwin guides the reader on a personal and educational journey through the Northwoods of the Great Lakes Region. He reflects on the elegance of the evolutionary process and the interconnectedness of all living things. At times a microscopic examination of the forest floor, and at others a far-reaching gaze into the wonders of a night sky. Goodwin explores this enchanted place and the delicate dance its history, geology, and organisms have performed since before recorded time. Along the way, he asks the hard questions about stewardship and spirituality that only connecting to nature and understanding our place in it can begin to answer. In Within These Woods Dr. Tim Goodwin has woven together a tapestry sure to delight those who seek a deeper understanding of the North Country. The science is sound, the writing evocative, and the illustrations add a touch of personal artistry. But it is the love of place, a love that many will share and find so beautifully expressed, that ties everything together and makes this volume a treasure for any cabin book shelf. It will have a place on mine. From Anton Treuer, author of Everything You Wanted to Know About Indians But Were Afraid to Ask, and many other books. Within These Woods delivers an intimate and knowledgeable perspective on on the flora and fauna of the Minnesota forest. It transports us from the page and into the wild. That transforms our worldview. When you really get to know something it it is impossible to be ambivalent about its destruction.